I love blog hopping on Sundays because there are so many amazing bloggers out there sharing their plans for the upcoming week. Don't you just love taking a peek into someone else's classroom to see what they are doing and hopefully find a few ideas. 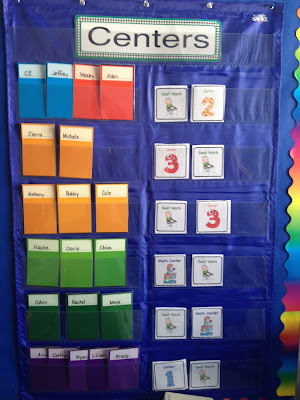 Speaking of taking a peek............DeeDee Wills over at Mrs. Wills Kindergarten has a great linky called Peek at my Week where bloggers link up with their extremely impressive visual plans. Wow!!!! It's enough to make any teacher feel inspired and inadequate all at the same time. So, since I don't see myself making those amazing visual plans this year (maybe next year), I thought I might at least show a piece of my week. This being my first year in first grade (I think I say that in every post) I had quite the time finding out what worked for my little firsties when it came to centers compared to what used to work with 3rd graders. SPOILER ALERT--------things that worked in 3rd grade don't always work the same in 1st grade! I'm not saying that some things can't work, it's just that I had to really work my way through September and October before I found what was going to work with my little firsties during center time. I was changing my routine a little bit every week in order to find what worked for this group I have this year. First I tried rotating so they would have 4 stations a day - with me being one of them!!! NOPE - that was a bust! Part of my problem was that my centers were not all able to be finished in 15-20 minutes. Some students finished, most did not. Then what do you do with the unfinished work. It just begins to pile up! And it wasn't their fault they weren't finishing - it was my fault for not realizing that in September, 1st graders are still really Kindergartners and have totally forgotten over the summer what school is really all about. Next I tried rotating them 4 times, but this time I wasn't one of the rotations. They had 3 stations and one rotation was seat work. I would pull groups randomly from a station and then didn't expect them to finish the one I pulled them from. This was a management nightmare --- who didn't finish because they didn't understand or weren't focused compared to who didn't finish because I pulled them during that center. Then they would miss some much needed review. Finally I moved to having one priority center a day (doesn't matter how long it takes to finish), seat work, and then choice centers. Therefore each student had two things to complete daily, which was much more manageable. I only needed 4 priority centers a week because one day each week (usually Friday) we don't do centers and we focus on our theme of the week or holiday activities. If students finished their priority center and their seat work, then they could go to a choice center. My choice centers are very low maintenance, which is what I LOVE! Choice centers are: Buddy Reading, Independent Reading, Computers, Listening Center, Big Book Center, Math Games, and sometimes another theme/holiday related activity. I pull groups from wherever they are and when we are done they go back to what they were working on. This time it works because they only have one priority center and seat work to finish during our block, which is usually a little more than 1 hour. They don't have to get to the choice centers, but of course they want to. This is my Centers chart that lists the priority center and seat work. (You'll notice some groups had to be split because they were too large of a group and there were some noise issues when they ALL worked together). These center cards are FREE in my TpT. Click HERE to grab them. This past week I had a math center and then I used my numbered centers (1, 2, 3). Sometimes I might have a writing center, word work center, etc. This is how they choose a Choice Center. They each have a clothes pin with their student number on it. If they finish their required work, then they can clip it on their center of choice. There is a certain number of children allowed at each choice center and once it's filled, they can't choose that one today. I encourage them to switch it up each day and if I notice that the same ones are always on the computer, for example, I tell them they need to choose something else. In order to be sure the kids don't rush through their priority work before going to choice centers, we check over their center work each day and decide if it is their best effort. They can earn small rewards for great effort. I check over their center work at the end of the reading block and it only takes about 5-7 minutes to look quickly at papers and it is worth it to address issues and recognize where students struggled. That pretty much tells you a little bit about how I tried to organize my centers this year in 1st grade. I tend to change things up a little bit every year and depending on what works for my class at the time, so I will most likely make changes next year. We'll just have to see when the time comes. I'll keep you updated! If you have a blog post about how you do centers in your room or if you'd like to leave me a comment about what you do ---- I ALWAYS LOVE reading about how other teachers do things. Thanks so much for reading and I hope you had a fantastic Easter if you celebrate it, or a wonderful weekend regardless! I love hearing how other people manage their centers. I was planning on posting about this in my classroom soon. Like you, I have tried a variety of things this year. I think you just have to figure out what's right for you and that group of students. Because it may be different from year to year. Thanks for sharing!! Thank you for sharing this! I have been struggling with reading centers this year- and this is my THIRD year to teach 1st graders! Each class is different! I love that you had a mandatory center and then a choice center. And I liked the free choice idea! That has been something I have been struggling with this year- Daily 5 vs Reading Center Rotations. I like your mix! First of all - I LOVE your name :-) The Frizz is one of my favorite book characters!!! I agree - It is definitely hard to find a good mix sometimes by giving the kids choice but also making sure they get the skills and review they need. 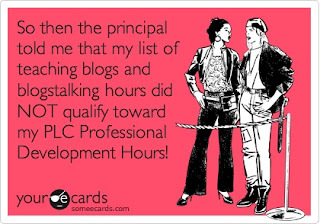 I don't know about your school district, but this also helps with APPR and the way we are scored during observations. Giving students choices rates as highly effective for us! So it kills two birds with one stone. How time consuming do those visual plans look anyways....whew! I started off this year teaching the Daily 5 and we got around to starting it. Low and behold, I'm totally opposite of everyone else...I don't like it much at all. I think I am too much of a control-freak! I like to assign them where they go and when they meet with me. My goal is to do a post on centers sometime soon! I like to think the way I do it is easy, but I struggle to RE-explain it to myself every year! It's my first year in first grade too! I came from kindergarten and did a "literacy blitz" approach last year - a morning long rotation through all stations. Doesn't work for my kiddos this year! I work similarly to you - a priority center each day (5 centers a week, 5 days), followed by my own mini version of the Daily 5 (they choose afterwards what they do). It's working okay, but I am also a control freak like Mrs. Griffith, LOL.